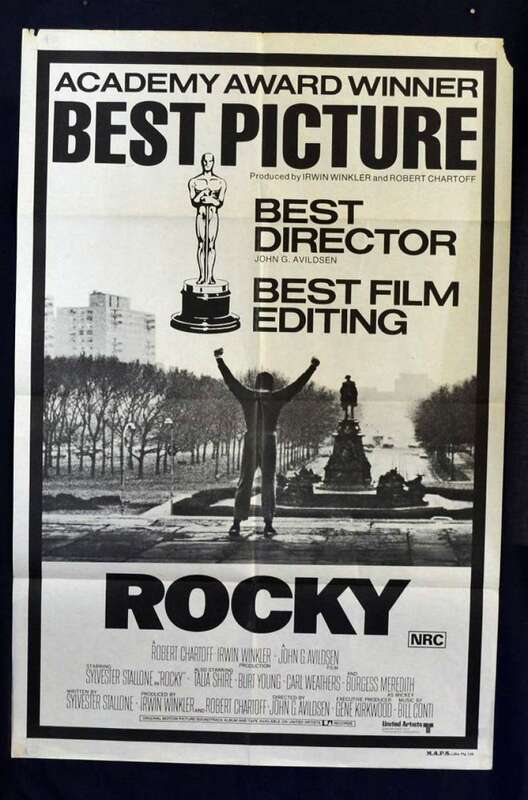 Rocky Academy Awards Style Poster. 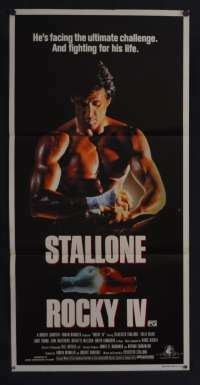 Rocky is a 1976 sports film directed by John G. Avildsen and both written by and starring Sylvester Stallone. 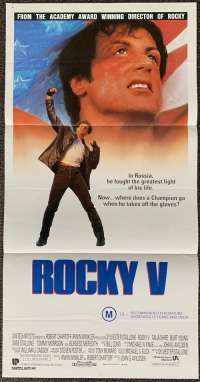 It tells the rags to riches American Dream story of Rocky Balboa who gets a shot at the world heavyweight championship. 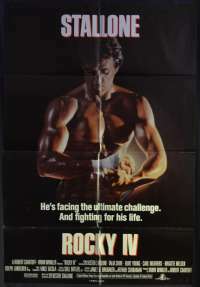 The film also stars Talia Shire as Adrian, Burt Young as Adrian's brother Paulie, Burgess Meredith as Rocky's trainer Mickey Goldmill, and Carl Weathers as the champion, Apollo Creed. 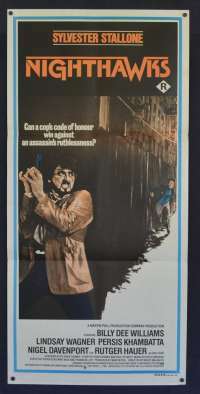 The film, made on a budget of just over $1 million and shot in 28 days and was a sleeper hit; it earned $225 million in global box office receipts, becoming the highest-grossing film of 1976, and went on to win three Oscars, including Best Picture. 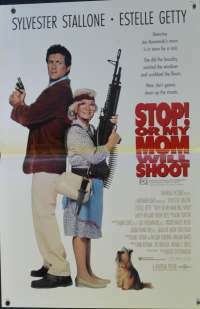 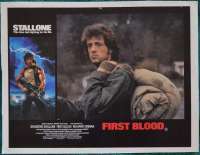 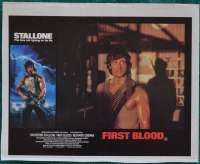 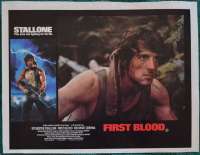 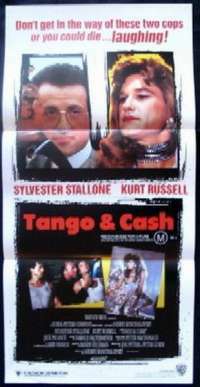 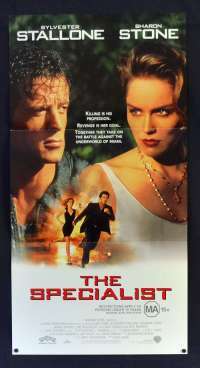 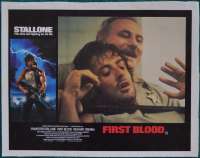 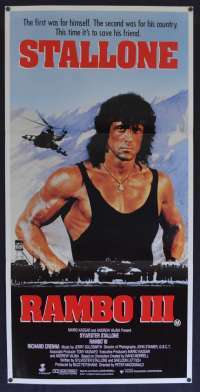 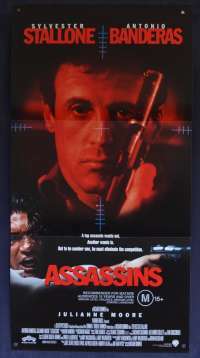 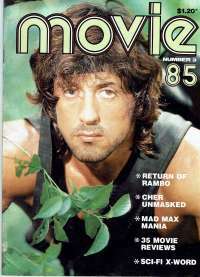 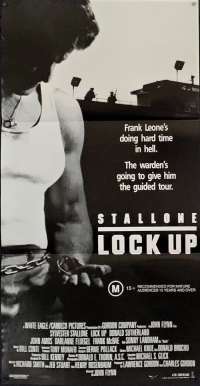 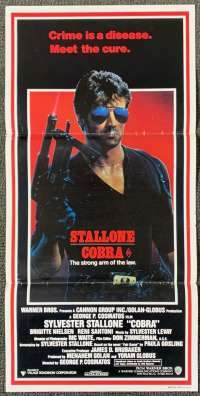 The film received many positive reviews and turned Stallone into a major star. 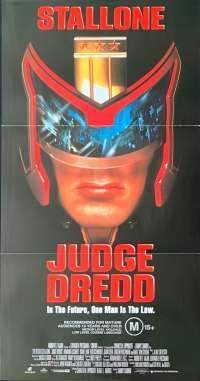 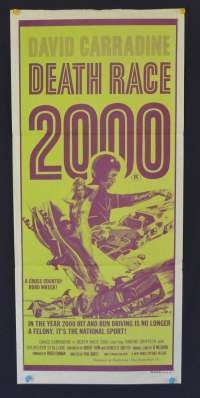 In 2006, the film was selected for preservation in the United States National Film Registry by the Library of Congress as being "culturally, historically, or aesthetically significant". 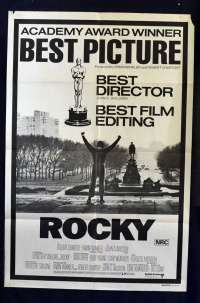 Rocky is considered to be one of the greatest sports films ever made and was ranked as the second-best in the genre, after Raging Bull, by the American Film Institute in 2008. 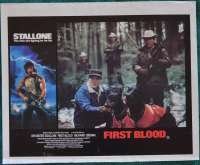 Edge Wear / Stains: Edgewear at bottom and top horizontal borders - once matted and framed this would not be seen. 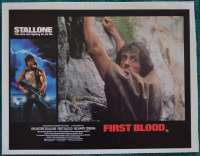 Comments: Stunning artwork of the key scene of the original movie and ongoing ones! 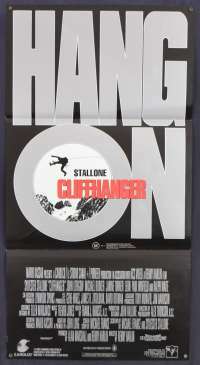 This will look fantastic in any Home theatre or office.